Plus, this is a slow cooker soup, which is the plussiest of all the plusses because it means very little effort is expended yet the results are ooh-aah amazing. That's my kind of meal, because you know The Ninj is all about keeping the food real and the recipes easy. Oh and hey? 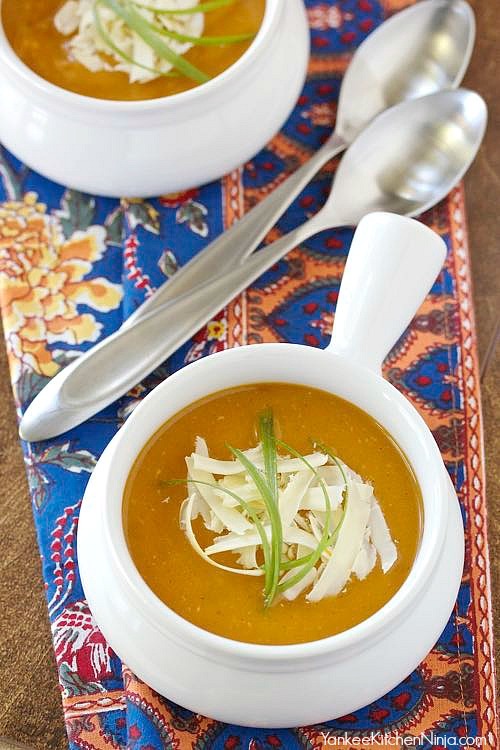 This slow cooker sweet potato and cheddar soup makes an impressive-but-effortless Thanksgiving dinner soup course. 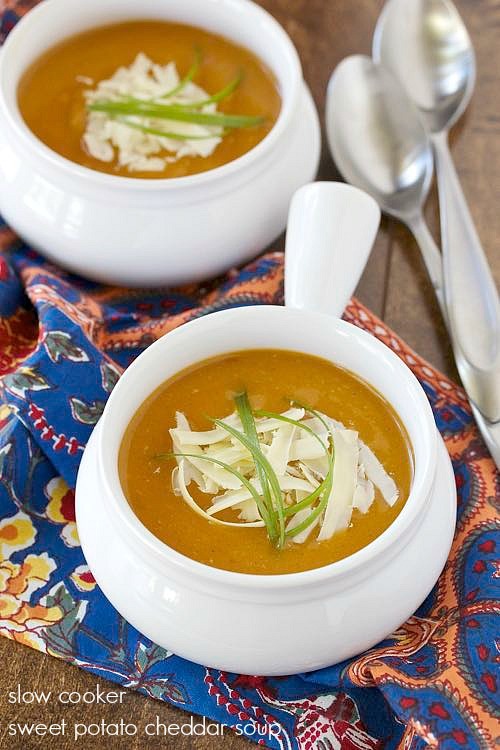 Do you incorporate soup into your Thanksgiving dinner? Leave a comment: The Ninj wants to know. Combine the first 8 ingredients (celery through cinnamon) in the crock of a slow cooker. Cover and cook on LOW for about 6 hours or until the sweet potatoes are extremely tender. Puree the soup in the crock using an immersion blender, then add the cheese and stir until melted. 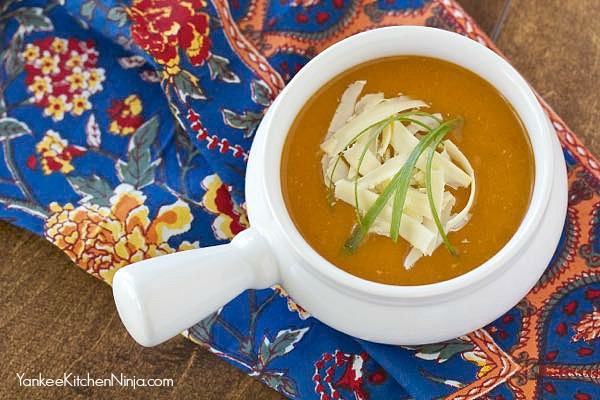 Serve topped with sliced green onion and more shredded cheddar.